I don’t often bake bread as I’m a much better baker of sweet items, but I needed wanted to join in with the #GreatBloggersBakeOff2014 again so I thought I’d attempt something which I’d made before – focaccia (though it was much better last time – this was a rush job in the end!). It is lovely & soft on both the inside & outside. Eat on its own or it’s also yummy dipped in balsamic vinegar. In a large bowl, combine the flour, yeast and sea salt. Using a dough hook or your hands (I cheated and used the dough hook on my stand mixer!) beat in the olive oil and warm water and combine to a soft dough (you may not need all of the water – I find adding it bit by bit helps). Again, using a dough hook or your hands, knead the dough for 10 minutes. Oil a clean large bowl (this prevents the dough from sticking), place the dough in and cover with oiled cling film. Leave in a warm place for an hour or until it has doubled in size. Punch the dough a couple of times to knock back the air and divide into four portions. Roll out each piece of dough into rough oval shapes, place onto an oiled baking tray and cover with oiled cling film. Leave to rise again for another 20 minutes and in the meantime preheat the oven to gas 7/425 F/220 C.
On top of each piece of risen dough, place the tomatoes and onions, and then finish off with the rosemary (just poke it in!). Leave to cool slightly, then enjoy! 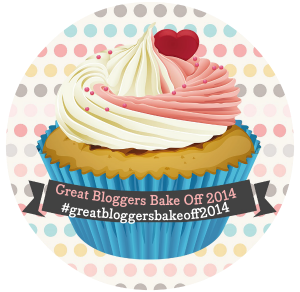 This is my entry to week 3 of the #GreatBloggersBakeOff2014, theme of bread – linking up with Mummy Mishaps. Sounds really nice this. Will give this a go over the weekend. Thanks for sharing this.